Makes 15 servings, 2/3 cup each. Stand 16 wafers around inside edge of trifle dish. Coarsely break remaining wafers; place on bottom of dish, then drizzle with liqueur. 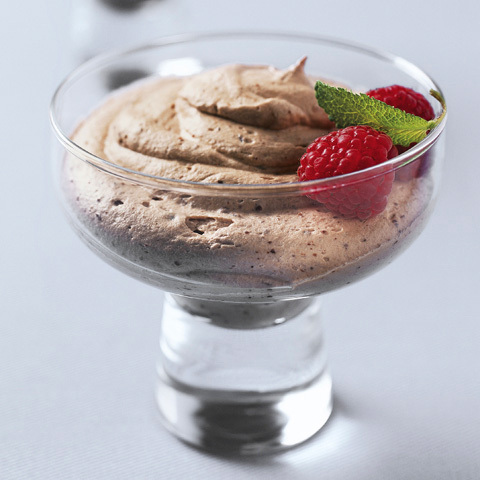 Beat pudding mixes and milk in medium bowl with whisk 2 min. Stir in chocolate and half the COOL WHIP. 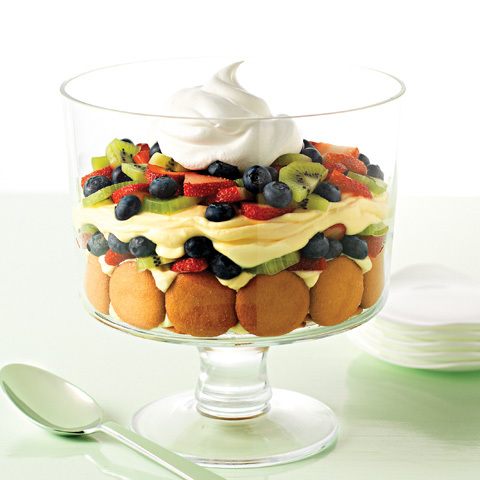 Layer half each of the pudding mixture and fruit over wafers in dish; repeat layers. Top with remaining COOL WHIP. Refrigerate 30 min. 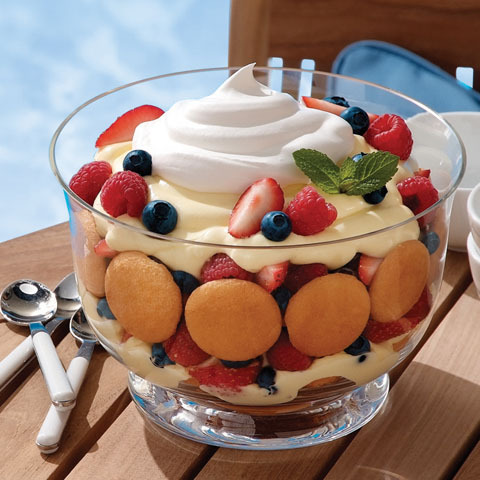 Size-WiseDessert can be a part of a balanced diet, but remember to keep tabs on portions. 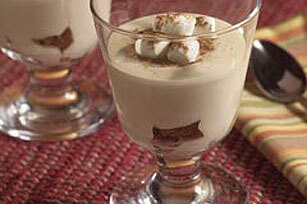 SubstituteSubstitute orange juice or caramel ice cream topping for the orange-flavored liqueur. 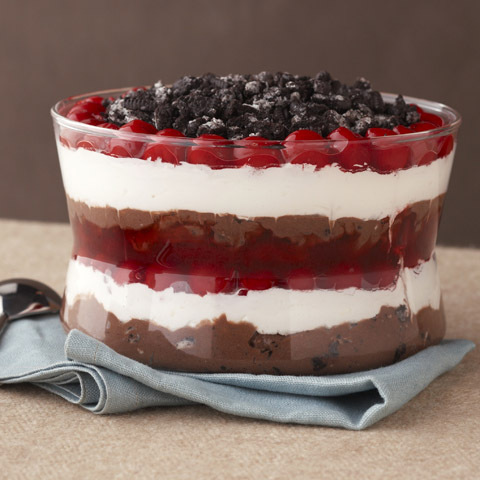 Special ExtraFor individual desserts, layer ingredients in 15 wineglasses, parfait glasses or ice cream dishes instead of the serving bowl.